Following an Autumn Statement in which the Chancellor failed to give any clarity on the future of retail rate relief, in the lead up to the 2016 Budget there were strong calls from retailers across the UK for the government to reform its plan for business rates. With rising costs including the apprenticeship levy, auto enrolment and the introduction of the new National Living Wage, retailers warned the government that without the vitally important retail rate relief there would be real pressures on employment (recruitment and retention) in high street retailers. In this retail 2016 Budget review we summarise the key points and developments arising from the 2016 Budget and focus specifically on what the changes may mean for the retail sector. 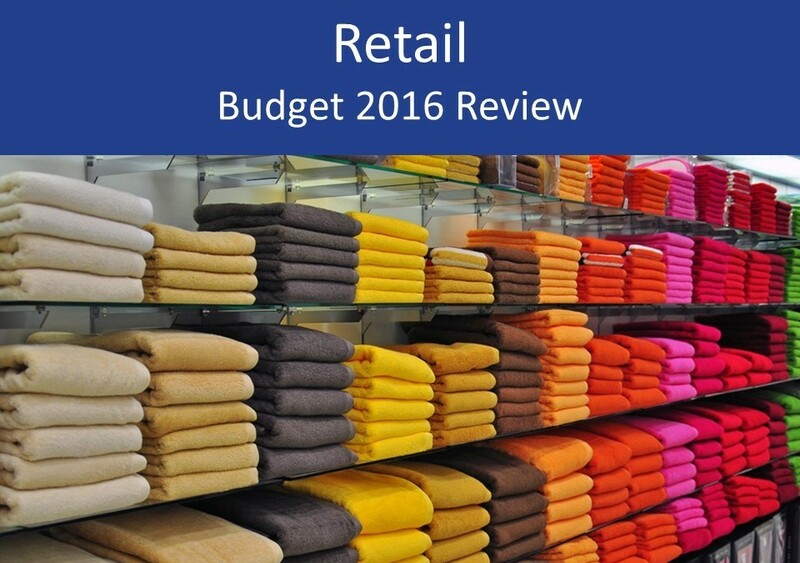 A good 2016 Budget for retailers – but where next for retail rate relief? The £1,500 retail rate relief could be an invaluable relief for small retailers, but was once again missed off the agenda in the Chancellor’s Budget. However, the Chancellor did announce a progressive approach to business rates, which will bring good news for retailers up and down the country. The Chancellor announced that business rate relief for small businesses will more than double from £6,000 to £15,000. This increase to the annual limit will exempt thousands of small businesses, with 250,000 businesses paying less in business rates. 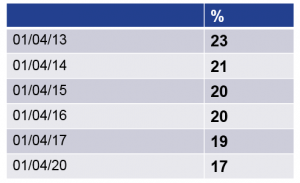 Sage data shows that, prior to the 2016 Budget, more than one in three UK small businesses said that reforming business rates would have the biggest impact in transforming their company. This is a big boost for small businesses and particularly for retailers, who argue that, in the digital age, those who have bigger physical presences (than those with big online presences) are taxed unfairly and uncompetitively. The fuel duty freeze will be extended for another year, taking it to 6 years at the current rate at the end of 2016/17. This is good news for both drivers and small business owners and will be welcomed across the country. The freezing of fuel duty will particularly benefit those who use vans or who take delivery of goods (e.g. retailers and hospitality firms) where using large amounts of fuels is unavoidable. As an example, the Chancellor announced that this would see a saving of an average of £270 for a small business with a van.